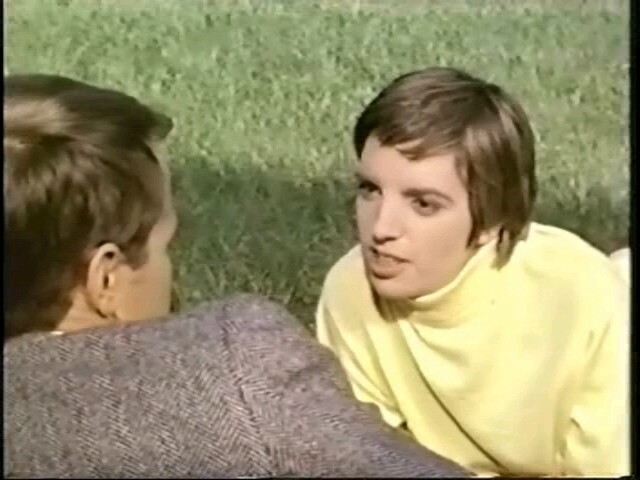 Eccentric Pookie Adams (Liza Minnelli) pursues a quiet entymology student named Jerry (Wendell Burton), who she meets on the bus while travelling to college. Alan J. Pakula’s debut film offers an insightful exploration into the exhilaration, complications, and devastation of “first love”. Many scenes — such as when Pookie and Jerry are about to make love for the first time — ring remarkably true, and are handled with sensitivity and gentle humor; and Minnelli’s Pookie — while unbelievably irritating at first — quickly becomes sympathetic, as we recognize a little bit of ourselves in her desperation to have a romantic relationship at any cost. Unfortunately, as pointed out by numerous reviewers (see links below), Pakula occasionally turns his non-conformist love story into a “traditional romance”, complete with montages of the lovers running across fields and holding hands while sappy music plays in the background. These scenes detract from the authenticity of the story, since we prefer to see these characters up close in all their awkward realism, rather than from a fuzzy distance. Fortunately, for every generic montage, Pakula provides a well-written, sensitive scene which brings us back to the truth of Pookie and Jerry’s relationship. Perhaps inevitably, things slowly begin to crumble between the misfit couple, as Jerry (well played by an appropriately bland Wendell Burton) realizes he wants to spend time with the other “weirdos” around him in college, and actually focus on his studies. Ironically, as we watch Pookie become increasingly desperate to hold on to Jerry (she fabricates a pregnancy, and guilts him into spending time with her), we start to care for her more and more, as we recognize the true depth of her neuroses. Our compassion is due in no small part to Minnelli’s powerhouse performance; a couple of particularly poignant scenes late in the movie — in which she pleads on the telephone with Jerry, and cracks up at a frat party — especially showcase her acting chops, and give credence to her worthy Oscar nomination. Ultimately, while The Sterile Cuckoo is an uneven film, Minnelli makes it worth seeking out at least once. Yes, simply to see Minnelli’s Oscar-nominated performance. When this was released, Minnelli’s performance was something of a revelation – she was considered a musical starlet then, so she took people by surprise, eclipsed the rest of the film, and to a large degree hid its flaws. At the time. And time has not been kind. Seeing it again, what’s noticeable is that Minnelli’s character – a walking wound that cannot heal – is given superficial treatment. There’s a hint that her father is somewhat like her (note how they look at each other in the film’s first scene; he seems to genuinely care for her but they are too alike mentally to be of any real help to each other or to give each other real love). But Pookie is merely presented as an anomaly, and that’s how we leave her at film’s end. We don’t know her enough to care as deeply as we could. She often lies, so we don’t know what’s true and what’s not. As well, she is often cruel, if accurate, about other people. So much for Alvin Sargent’s script. The egregious error on director Pakula’s part is that he overly romanticizes the whole thing. As noted, the montages seem endless. The theme song seems to repeat, in its entirety, five or six times. It’s a nice song – but, as used, it becomes cloying. 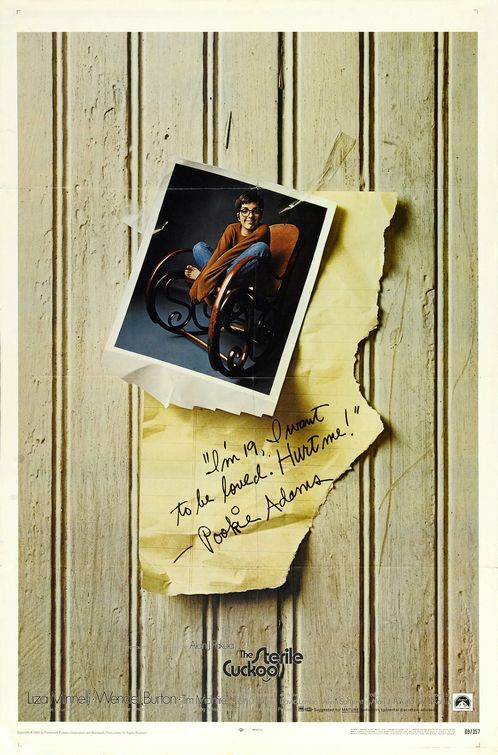 Pakula appears to be so much on Pookie’s side that sentimentality becomes a problem. Sure, it remains a somewhat interesting look at an outsider longing to be loved, and failing miserably in the attempt. Oddly, however, the first time I saw the film, I paid little attention to Burton’s performance. Years later, his work seems subtler, more impressive. His character has a beginning, middle and end. Conversely, Minnelli remains stagnant; realistic perhaps, but here unsatisfying dramatically.